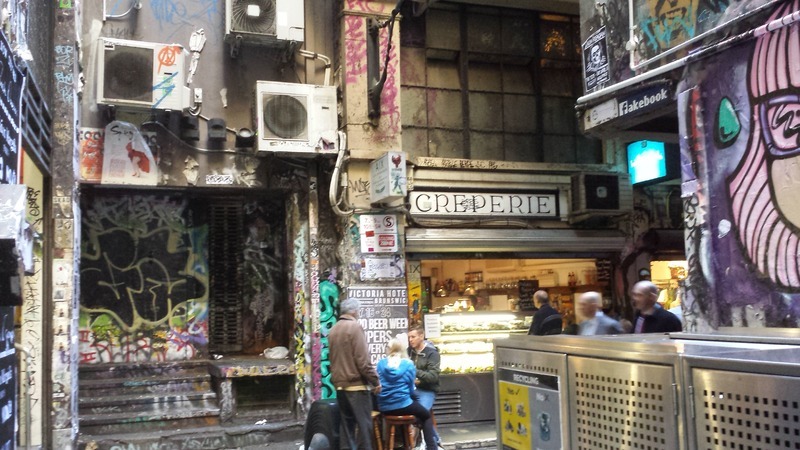 Next stop is Centre Place, which is a laneway and arcade from Flinders Lane to Collin Street. This precinct has been used in tourist promotion campaigns for the city. 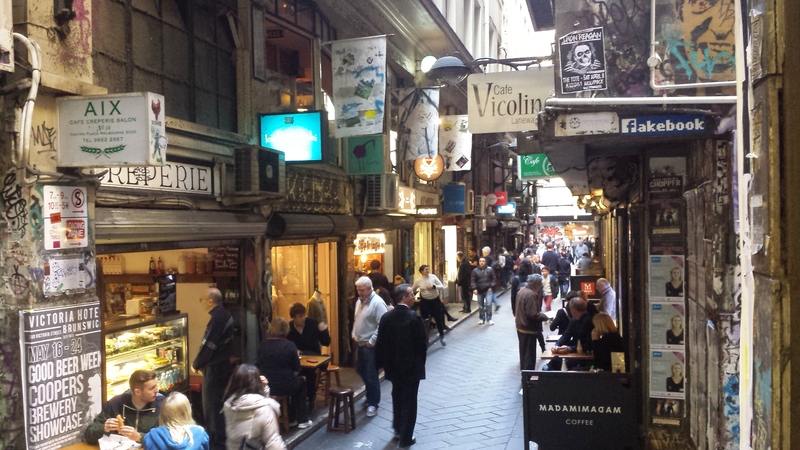 Amongst the arcade you will see an abundance of cafes, restaurants, sushi bars, boutiques and shops. 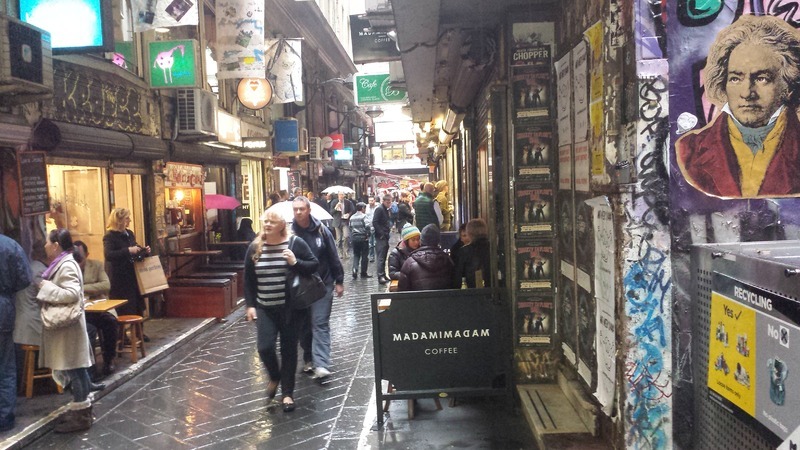 However, it is the amount of street art present throughout the arcade that is most notable. Artwork here also appears to be ephemeral in nature as there is a continuous overlap of artworks by artists. The arcade itself is not restricted to one subset of people, but is more inviting to the public due to its tranquil atmosphere. The street art itself creates a more urbanized environment, capturing the eccentric posters and aesthetically pleasing artworks. Noted in the arcade, we see that every single wall, sign and even trashcans are covered in tags, artworks and tags. Removal of the artwork appears to be non-existent,which could be due to the influence the graffiti has. 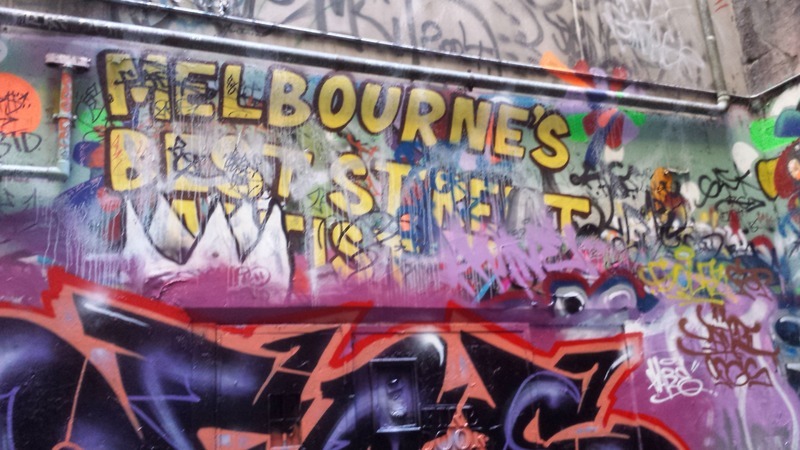 “Stop 3 : Centre Place,” Street Art deTours, accessed April 20, 2019, http://streetartdetours.com/document/1013.